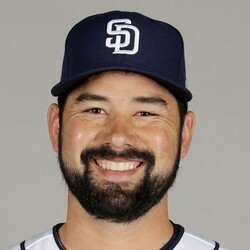 With the bevy of injuries to the starting rotation, Zach Lee is in the mix for the fifth spot. Against the White Sox on Saturday, he allowed eight hits and two earned runs in 4 2/3 innings. He did not walk or strike out a batter. If he does win the final rotation spot, Lee, the former top prospect of the Dodgers, may not even be relevant in the deepest of leagues. The righty does not throw hard or strike out batters at a high rate. In 4 2/3 innings with the big club last year, he allowed 11 hits and seven earned runs. He is not being selected in fantasy drafts.